Scots are people sampled in the nation of Scotland, which forms part of the United Kingdom or Great Britain . Emigration – influenced by factors such as the forced Highland and Lowland Clearances of land during the agricultural revolution, Scottish participation in the British Empire, and latterly industrial decline and unemployment – resulted in large populations of Scottish people settling North and South America, Australia and New Zealand. There are large populations of people worldwide with Scottish ancestry. In particular: 6 million Scottish Americans, 4.7 million in Scottish Canadians, 1.8 million Scottish Australians, 800,000 Scottish people in England, and 760,000 Scottish people in Northern Ireland. Scottish mercurial actor Ewan McGregor played Jedi Obi-Wan Kenobi in the Star Wars prequel trilogy (1999–2005). He was born in Perth in Central Scotland. There are three data sets that have been incorporated into DNA Consultants’ method. The Scotland- Highlands population data represent 228 randomly selected individuals from Scotland- Highlands. Samples were provided by the database release sorted by marker and country of the European Network of Forensic Institutes. The Highlands are a historic region of Scotland which became culturally distinguishable from the Lowlands from the later Middle Ages when Lowland Scots replaced Scottish Gaelic throughout most of the Lowlands. The term “Highlands” is used to describe the area north and west of the Highland Boundary Fault. This area is mountainous and sparsely populated. Before the 19th century the Highlands was home to a much larger population, but due to a combination of factors including the Jacobite Rising of 1745, the infamous Highland Clearances, and mass migration during the Industrial Revolution, the area is now one of the most sparsely populated in Europe. The Scotland- Lowland population data represent 494 randomly selected individuals from Scotland- Highlands. Samples were provided by the database release sorted by marker and country of the European Network of Forensic Institutes. The Lowlands are a cultural and historic region of Scotland. The Highland Boundary Fault geographically divides the Lowlands and Highlands. The term “Lowlands” sometimes refers to the Midland Valley. The Midland Valley is geographically home to sedimentary rocks with coal deposits within the basins of the Rivers Forth and Clyde. It is also the most agriculturally productive region of Scotland. 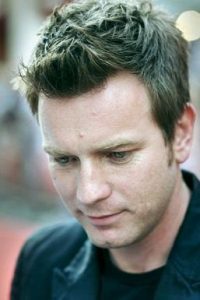 Photo: Ewan McGregor. Wikimedia Commons. Source publication: Scottish – Strathclyde region (population 60): 13 STR Loci Frequency Data from a Scottish Population, FSI, 2001, 116, 187-188. Scotland- Highland and Lowlands data (population 447 and 448): from ENFSI.